Guides are pretty important people in the fly fishing industry. They’re masters of their local fishery and the first to know what’s happening before anyone else. They’re educators, boat rowers, casting teachers, fly tying instructors, lunch ladies, and comedic talent all rolled into one. We refer our clients to these experts. Our list of guides is not extensive, as we scrutinize who we send our clients to. Fishing in our area can be difficult, and we refer clients out to specific guides that we know and trust to provide a great fly fishing experience. Fun times are mandatory, but tall fish tales are optional. One of Micah’s passions is sharing the joy of fly fishing and the region’s streams with others. Whether you’re an expert angler or a first-time fisherman, his fishing trips are tailored to your specific interests and experience. Micah guides on the Gunpowder River and the Potomac River here in town, both fly and conventional fishing from shore, and is one of our favorite guides in the area to fish with. L.E has been fishing the James and Shenandoah rivers for over 45 years. He has over 20 years years of guiding experience. He loves the time he spends on the water with his customers. He knows that everyone likes to catch fish but he also wants everyone to go home having learned something new. L.E. provides angling adventures for trophy smallmouth bass, musky, carp, and gar on over 60 miles of the James River and 40 miles of the Shenandoah River. He caters to both fly and conventional anglers. Chris is a third-generation angler who has spent his entire life fishing the Chesapeake and the coastal bays of Maryland and Virginia. 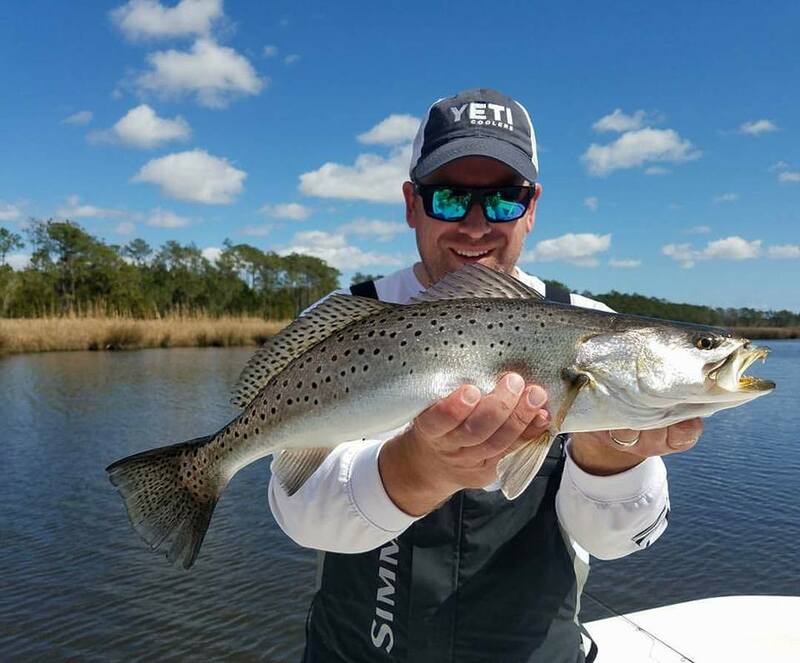 During the mid-90s he began fishing Tangier and Pocomoke Sounds almost exclusively in order to pursue the speckled trout and striped bass that thrive in the surrounding islands, marshes, and grass flats of the region. To Chris, there is nothing more rewarding than providing a high-quality experience for his anglers. Whether it is a first ever caught fish, or catching a trophy fish on the fly rod, anglers tend to fall in love with fishing in this beautiful and remote region of the Chesapeake Bay. Blane operates a guide service that specializes in float trips on four of Virginia’s premiere rivers: James, New, Roanoke and Jackson rivers.